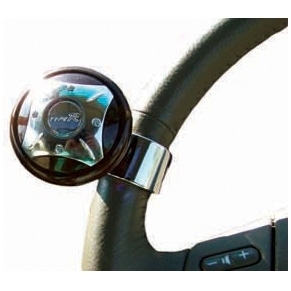 The Ezee Turn Steering Knob has an attractive design with a ball bearing for smooth operation. Steering aids facilitates easy parking and increase manoeuvrability. This steering knob is compatible with most steering wheels and is easily fixed into place. Compatible with most steering wheels and is easily fixed into place.